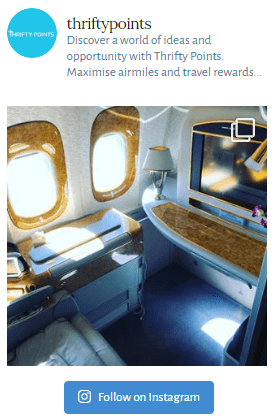 Starwood Amex Card Review – Is it the Best UK Hotel Credit Card? With the recent announcement of the launch of the combined Marriott and Starwood Preferred Guest rewards programme – Marriott Bonvoy – we thought it was about time we undertook a Starwood Amex card review to see whether the card still offers customers real value for money. As it is one of only a couple of hotel rewards cards in the UK market, should you choose to carry on spending on the SPG credit card or are there better cards in the market? By the end of this review you should be well equipped with all the information necessary to answer this question for yourself. Spoiler Alert: there’s an alternative American Express credit card which offers a very similar sign-up bonus and doesn’t come with a £75 annual fee! As always I’m going to start with the boring BUT most important things you should know about the Starwood Preferred Guest credit card. The Starwood credit Card UK is issued directly by American Express and is a credit card (not a charge card like some other American Express cards we’ll discuss in this Starwood Amex card review). The representative APR is 39.7% (which includes the annual fee) and an interest rate on purchases of 22.9% variable. The Amex SPG card comes with an annual fee of £75. However should you decide to cancel the card at any time you’ll receive a pro-rata refund. This essentially means that if you were to cancel the card after four months you’d receive a refund of £50. So what are the benefits of earning SPG points with a Starwood Amex? Following the mega merger of Marriott and Starwood, loyalty members of the soon to be launched (13th February 2019) Marriott Bonvoy scheme will have access to over 6,500 properties in 129 countries. With brands ranging from The Ritz Carlton to Moxy, the combined 120 million members will be able to redeem Marriott Bonvoy points with a staggering 30 brands. No other hotel company comes close to this many brands or in fact as many loyalty scheme members! Anything Else I should Know about the SPG Amex Card UK? What is an SPG Point Worth? What Other Cards Compare with the SPG Card? The Starwood Preferred Guest Amex offers a 30,000 SPG points sign-up bonus when you spend £1,000 in the first 3 months. Whilst the most efficient use of points from the SPG Preferred card is through redemption with Starwood, you have the option of being able to transfer these points to a staggering 44 airlines should you rather redeem your points for flights. What’s even better is that you can receive a higher sign-up bonus of 33,000 points if you use this specific link and scroll down to the SPG Amex card below. As I’ll explain later in this review, we believe the points earned from the SPG American Express are worth somewhere in the region of 0.5p per point. This means that the sign-up bonus of 30,000 points could be worth as much as £150 or alternatively £165 if you’ve used the link and benefited from the additional 3,000 SPG points. Worth considering! Just look out for the additional 3,000 points as shown in red below when you use the referral link. All spending on the American Express Starwood credit card will benefit from a minimum of 3 SPG points for every £1 spent on the card. At a potential value of 0.5p per point, this offers an exceptional continued spend reward of 1.5%. Should you use the points at a Starwood hotel the earnings rate is doubled to 6 points for every £1 spent on the SPG Amex UK credit card. If you’re able to spend £25,000 a year on a credit card we believe that there are significantly more generous cards available in the UK market than the SPG Amex card. If you fall into this category you may find my recent BA First Class review interesting, where I manage to earn enough points from spending £15,000 on two credit cards to redeem two First Class BA flights from London to Sao Paulo! There is no longer a minimum income requirement for the Starwood credit card UK. You will also benefit from 6 points for every £1 spent if you decide to use your SPG credit card at a Starwood restaurant. These include the likes of the Plum & Spilt Milk and Docksider restaurants in London. Recent changes to American Express rules now mean that to qualify for the SPG Card sign up bonus you cannot have held a personal American Express credit card in the last 24 months – learn more about the sign up bonus restrictions and our suggested strategy here. Early on within the Starwood Amex card review, I mentioned that an SPG point is worth somewhere in the region of 0.5p per point. The most cost-effective use of SPG points is through redeeming for a night’s stay at a UK-based hotel. Let’s again take the example of the Aloft London Excel. As you can see below, a night’s stay would require either 25,000 points or alternatively a payment of £119. This would equate to a rate of 0.48p per point. If you don’t believe you’ll redeem the points earned with a Starwood Preferred Guest credit card directly with Starwood then we’d suggest you consider an alternative American Express credit card which is likely to provide better value in the long term. As you may or may not be aware, American Express Membership Rewards offers the flexibility to transfer points to Starwood Preferred Guest at a rate of 2 reward points to 3 SPG points. This opens up some excellent opportunities for those who are likely to transfer points to SPG but would potentially like the flexibility to use the points with other schemes as well. Let’s take a quick look at an alternative American Express card to the SPG Card Amex. The Cost: Unlike the SPG credit card, the annual fee for the Amex Gold Card is waived for the first year and as such you’d be saving £75. Most people tend to cancel the card before the annual fee becomes payable after 1 year. Sign-Up Bonus: We believe that the American Express Gold Card offers one of the most generous sign-up bonuses in the market. So how does this compare to the Starwood credit card UK? Similar to the Amex SPG card you can boost the sign-up bonus of the Gold card from 20,000 points to 22,000 if you use this link. Membership reward points can be transferred to SPG at a rate of 2 rewards points to 3 SPG points, making the sign-up bonus worth an equivalent 33,000 SPG points. However where the Gold card offers real value is through the ability to transfer to airline loyalty schemes such at BA Avios at a rate of 1 to 1. You can see how I value an Avios here. We’d expect the value of this type of redemption to be somewhere in the region of 1p per point, making the sign-up bonus of 22,000 Avios worth an impressive £220! Whilst you can transfer SPG points to BA Avios, the rate is poor at 1 Avios to 3 SPG points. This would result in the sign-up bonus earned with the SPG credit card only being worth 11,000 Avios points! Ongoing Earnings: The ongoing earnings rate of the SPG Amex card at 3 points for every £1 spent is actually double the 1 point (1.5 SPG points) offered by the Gold card. However to offset the additional £75 annual fee of the SPG credit card you’d need to spend a considerable amount on the credit card for the additional earnings to cover the cost of the card. A final point to consider is the ability to redeem Starwood Preferred Guest points with 44 different airline frequent-flyer schemes. For a number of these programmes, this can be the only way of earning miles through a UK credit card. You can see a full list of these 44 airlines here. For those who hold a significant number of miles with an airline where there is a risk of losing the points through inactivity, the attraction of earning a small number of miles with a UK credit card can be particularly appealing! With most SPG airline conversion rates priced at 1 air mile to 3 SGP points, you’ll essentially be earning 1 air mile for every £1 you spend on the card. 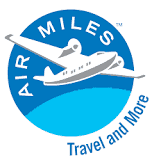 This can be boosted to 1.25 miles if you choose to redeem in chunks of 60,000 points, where you’ll receive an additional 5,000 air miles. So what have we learned? Whilst the Starwood Preferred Guest credit card offers a strong sign-up bonus of 30,000 points (or 33,000 points if you use this link and scroll down) it comes with an annual fee of £75 pa. 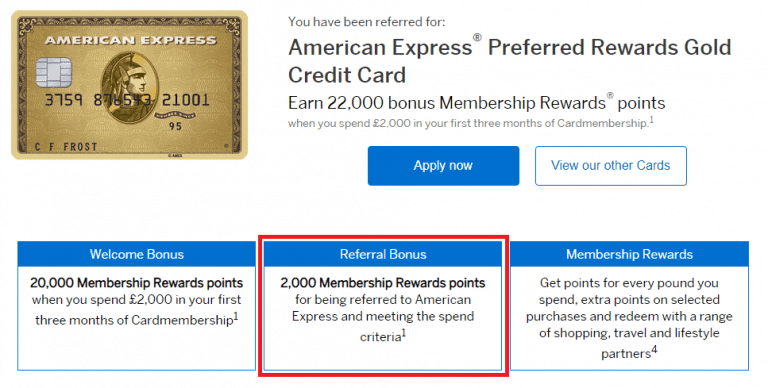 The American Express Gold Card offers an identical sign-up bonus (increased to 22,000 points here) and is offered free for the first 12 months. The card also provides two free airport lounge passes upon signing up which I’d find preferable to both the Starwood Gold elite status once you’ve spent £15,000 or a free night’s stay once you’ve spent £25,000. I would however recommend the SPG credit card to those who have air miles which may be at risk of expiring. Through SPG you can transfer the points to 44 airline partners! Alternatively you could also transfer American Express Rewards points to your SPG account (rate of 2:3) and then onto the airline frequent-flyer scheme. This offers the same level of value but also allows you to retain as much flexibility as possible. We hope you’ve found this Starwood Amex card review helpful and as always please do reach out if you have any comments.